Companies looking to make good on the promise of machine learning for data analysis are turning to a somewhat unlikely old friend. 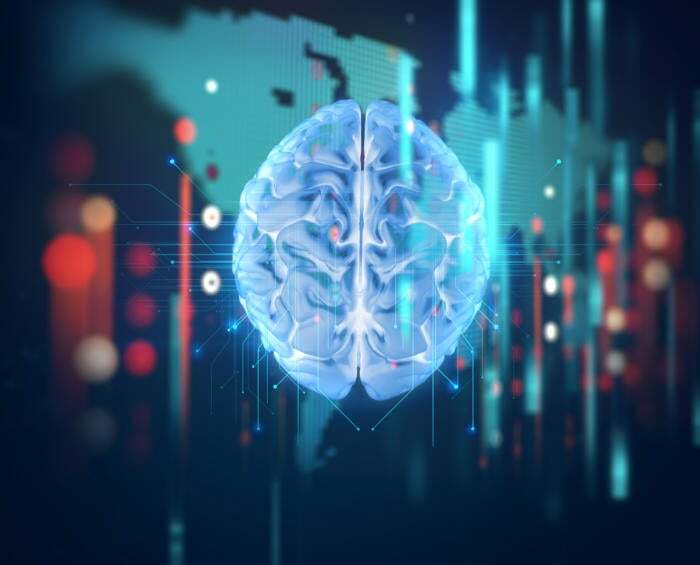 Business intelligence systems, largely the domain for analyzing past performance, are being retrofitted with artificial intelligence to bring predictive features to their reporting capabilities. The Symphony Post Acute Network is one such organization. The health care company, which has 5,000 beds in 28 health care facilities in Illinois, Indiana and Wisconsin, wanted to use artificial intelligence and machine learning to improve care for up to 80,000 patients a year recovering from procedures like knee surgery, or receiving dialysis treatment. For example, buried deep in a patient's medical core could be an indication that a patient is particularly at risk for a dangerous fall and therefore requires extra precautions. Finding these indicators, which could be individual data points or subtle patterns of data, is a perfect use case for machine learning. But building the models isn't a simple job. "I got bombarded with questions about predictions," says Nathan Patrick Taylor, director of data science and analytics at Symphony. "Even if I spend every waking moment building machine learning models, there's no way I can do all that." So the company hired two more data scientists. "And they're not cheap," says Taylor. "But we weren't getting the return we needed. It was very difficult and costly." So two years ago, Symphony started looking at commercial alternatives, vendors who already had the machine learning models built and ready to go. Now the company takes the data already collected in its data warehouse, sends it through the cloud-based AI engines from its vendor, DataRobot, and the results are funneled back into the company's Microsoft PowerBI dashboards every four hours. "Right away, I got it, my CIO got it, and we were just blown away," says Taylor. "It looked like magic." Today, 240 doctors and nurses get the predictions and recommendations right in their PowerBI dashboards, which they can access through tablets and smartphones. So, for example, patients at higher risk of falling are automatically flagged with a staircase icon. Patients at high risk of re-admittance are flagged with an ambulance icon. Re-admission rates are a big deal for Symphony, Taylor says. Hospitals and insurance companies look at readmission rates, and each readmission ends up costing the company $13,500. "That's not an insignificant amount of money," he says. To find out whether the DataRobot predictions were useful or not, Symphony originally rolled out the DataRobot feeds to just some of its facilities, and ran a six-month study to see whether there was a difference in the readmission rates. "If you can move it 1 percent, you're doing really well," he says. And the rates did improve, Taylor says — from 21 percent to about 18.8 percent. "That's a significant improvement," he says. "That won over our CEO." Today, the company is starting to use the same approach to look at contracts with insurance companies. "If we're not billing properly for services, that's money we leave on the table," he says. The initial installation took about 20 hours, and involved connecting the data feeds and setting up the learning models. Now, if someone wants new types of predictions, a brand-new learning model takes about six to eight hours to set up, he says, spread across three working days. In addition, existing models can be retrained at any time, he says. For example, regulations might change, or medical staff could start using new procedures. In addition, a model might drift over time. Taylor retrains the models every three months, or whenever there's a major policy shift. If there's a big change, the learning model might need to be trained only on data that came in after the new policies went into effect. Managing the system no longer requires a highly trained data scientist, he says, but it does require someone who has a basic knowledge of statistics. At Symphony, the company also uses R code to set up the models. "AI has been democratized," says Boris Evelson, vice president and principal analyst at Forrester Research. "Until recently, it required a data scientist to write code. Today, with these business intelligence systems, I can point and click at a few data points, choose the variable I want to predict — like a customer's propensity to buy — and these predictive models are going to be automatically generated." Something that used to take a data science professional months to put together can now be put together in a few days by someone who can understand data and work with Excel, he says. "Marketers are using this to predict and act on customer behavior, business managers are using it to look at and predict risk, supply-chain people are using it to look at and optimize logistics," he says. According to a recent Forrester survey of global decision makers, improving data, analytics or insights platforms is one of the top three use cases for artificial intelligence technologies. And all the major BI vendors, including IBM, Oracle and Microsoft, are hard at work in this area. And if eight hours sounds like too long to set up a new machine learning model, easier options are on their way. Soon, users will be able to get the most common types of predictions automatically, get recommendations, and have built-in image recognition and natural language processing, as Gartner predicts that natural-language generation and artificial intelligence will be a standard feature of 90 percent of modern business intelligence platforms within the next two years. Natural language processing will enable users to ask plain English questions, in the moment, when they need the information, says Bruce Molloy, CEO at SpringBoard.ai. "I think it's a natural evolution." The narrower the domain, and the more relevant data a platform has access to, the easier it will be for the vendor to add AI capabilities, he says. Accounting platforms, or customer relationship management systems like Salesforce, already have the data they need, and there are certain questions that users are most likely to ask. "With Salesforce, it will be very interesting to see what they do," he says. "It's already constrained, and the work is already partially done. They've already determined that these views are important, and they can layer in the AI capabilities on top of that." The push to artificial intelligence is driven by increased processing power, smarter algorithms, cloud computing and standard interfaces. DataRobot, for example, takes advantage of both cloud computing and standard Rest APIs, allowing it to support Trifacta, Alteryx, and Domino Data Labs business intelligence systems, in addition to PowerBI, Tableau, Qlik, Excel, R Shiny, and many other dashboard tools. AI-powered business intelligence dashboards can also process a much wider variety of data than before. Symphony, for example, doesn't just look at the hard numbers in the patient records, but also at the patient progress notes made by doctors and nurses. There's a lot of information saved in unstructured formats, information that could lead to useful insights or predictions, says Josh Sutton, global head of data and artificial intelligence at consulting firm Publicis.Sapient. And it's not just text. "One of the largest sources of unstructured data that is a source of business intelligence is visual imagery," Sutton says. Marketing departments, for example, could benefit from analysis of how their customers are interacting with products based on the photos they share on social media. But predictions and insights are just the first step of what AI can add to business intelligence dashboards, says David Schubmehl, research director for cognitive and artificial intelligent systems at International Data. AI-powered dashboards can also provide advice or suggest specific actions that users should do next — or even offer carry out those actions for the users. "If widgets [sales] numbers are dropping, it could say what this would mean for the future, and what you should do about it now," he says. That makes BI much more valuable. "I think that's why so many people are adopting these kinds of tools," he says. For example, Salesforce just made a big announcement that its Einstein predictions had recently crossed over a billion predictions a day in terms of prescriptive intelligence helping people close new business, identifying new leads, creating action-oriented capabilities. I think that's an indicator that people want more than just descriptive business analytics." And we're still in the very early stages, he says. "Sometime over the next two to three years, we'll probably hit full maturity. People are just beginning to understand what the possibilities are with artificial intelligence and machine learning." In particular, AI still doesn't have common sense, says Rumman Chowdhury, senior principal and global lead for responsible artificial intelligence at Accenture. "We're in the world of narrow AI," she says. Even if a particular platform has an AI model built in and ready to go, the user still has to understand the data that is being used, and its relevance to the question at hand. "You have to make sure it's appropriate for the output you think you're getting," she says. "And I don't know if we will fully replace human judgment in some of these areas. I don't know if we can fully automate real decision making — or even if we should."